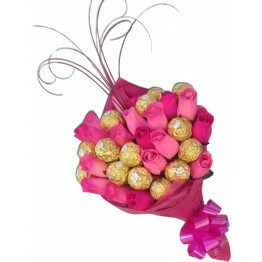 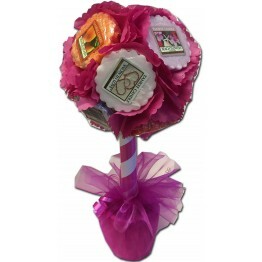 Beautiful bouquet of Ferrero Rocher, Haribo Marshmallows and a spray of wooden roses in complimenting colours. 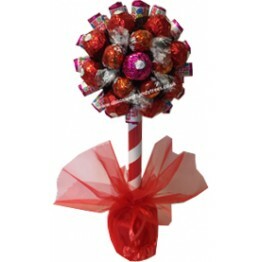 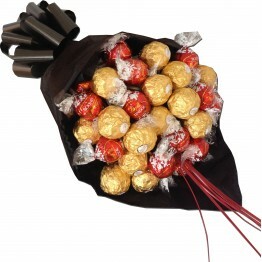 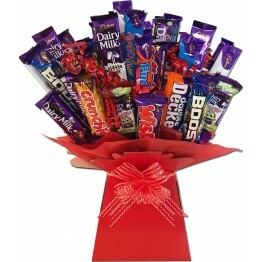 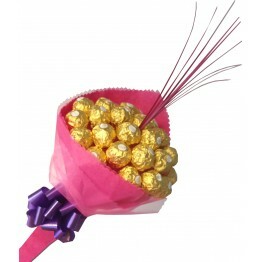 Choose from a large range of colours for the decoration and we will create you a stunning chocolate bouquet. 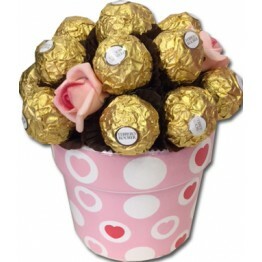 All gifts come beautifully gift wrapped for the perfect gift. 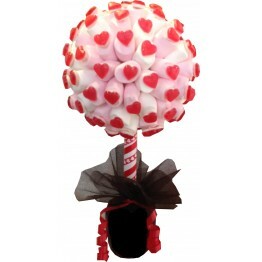 Vegetarian option available please request this in the comments box when ordering or send us a quick email to let us know.